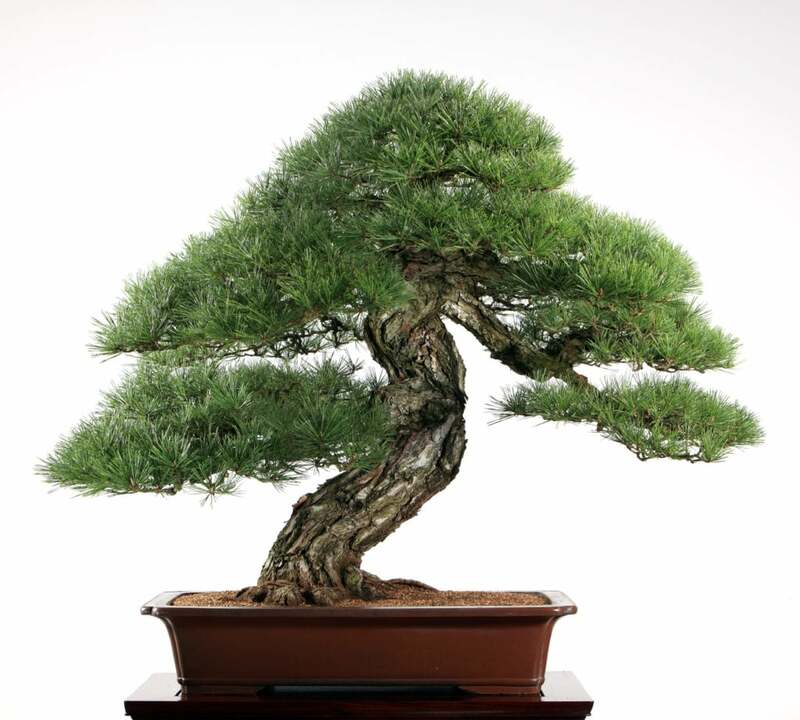 The black pine is a coastal tree of southern Japan, strong, vigorous, long lived and possessed of many attractive qualities. 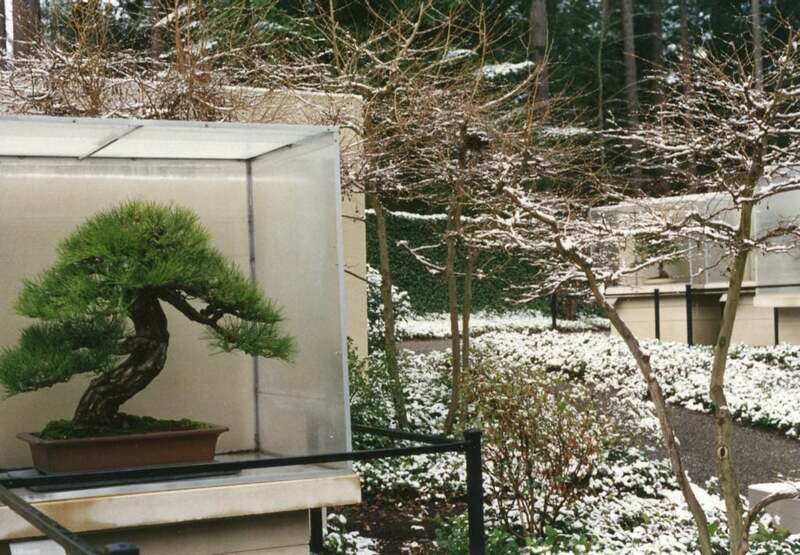 For all the above reasons, it is known as “The King of Bonsai”. 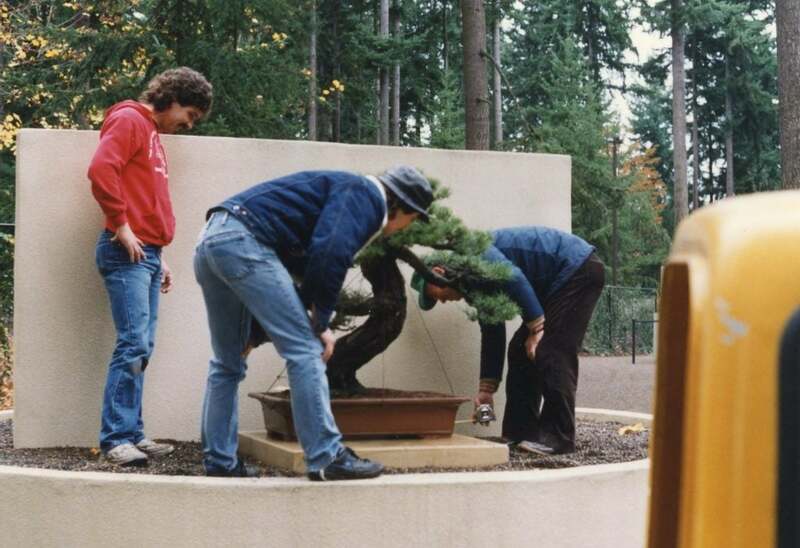 This tree was quite tall when it was collected. 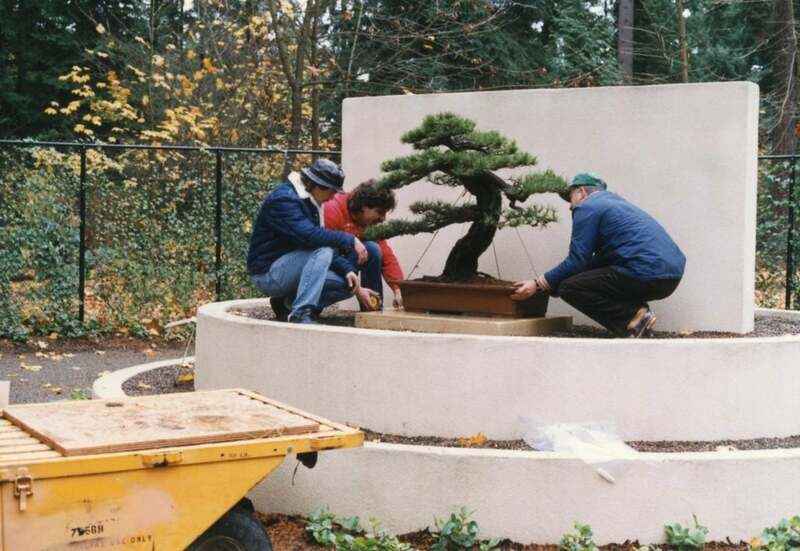 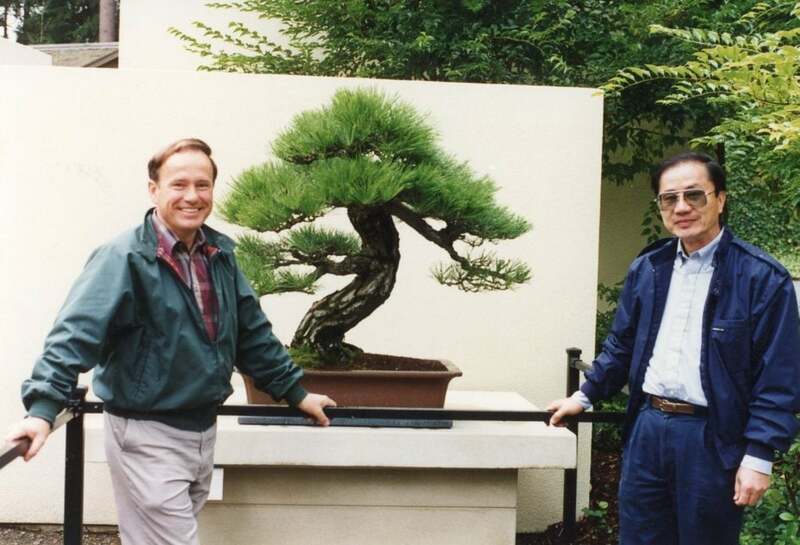 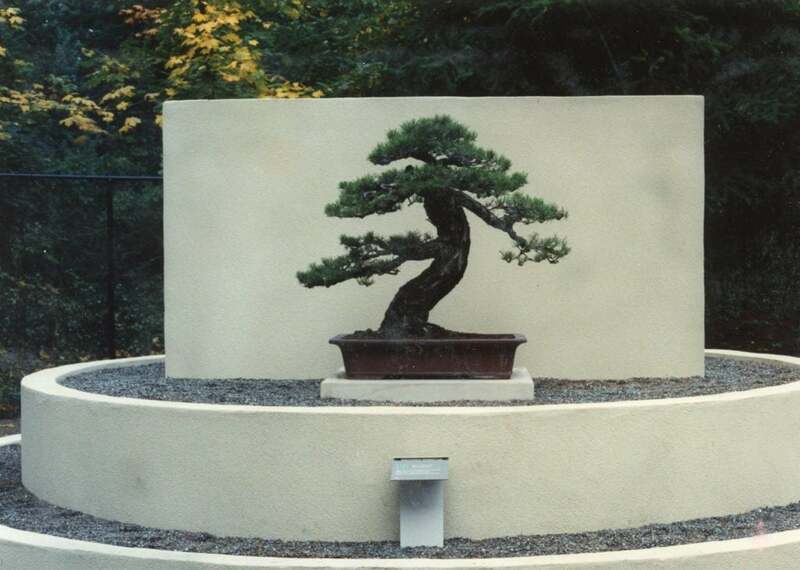 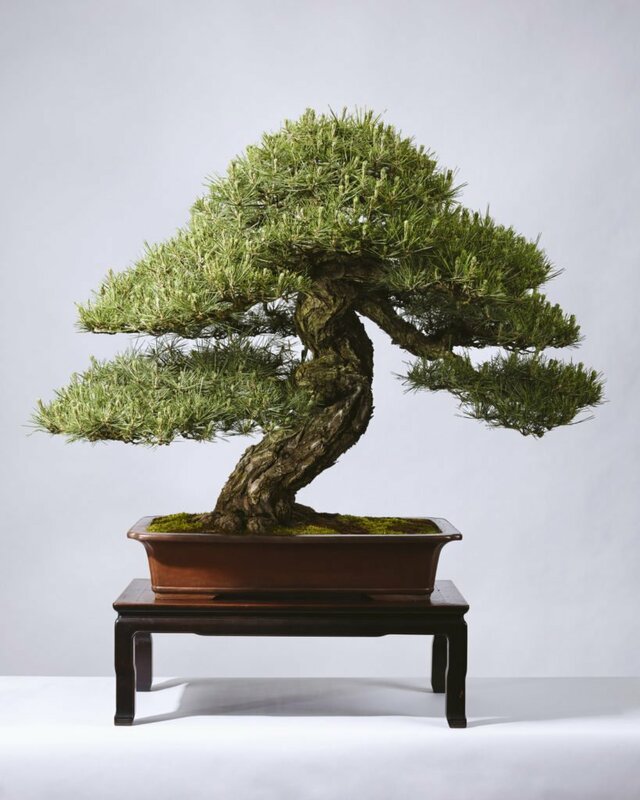 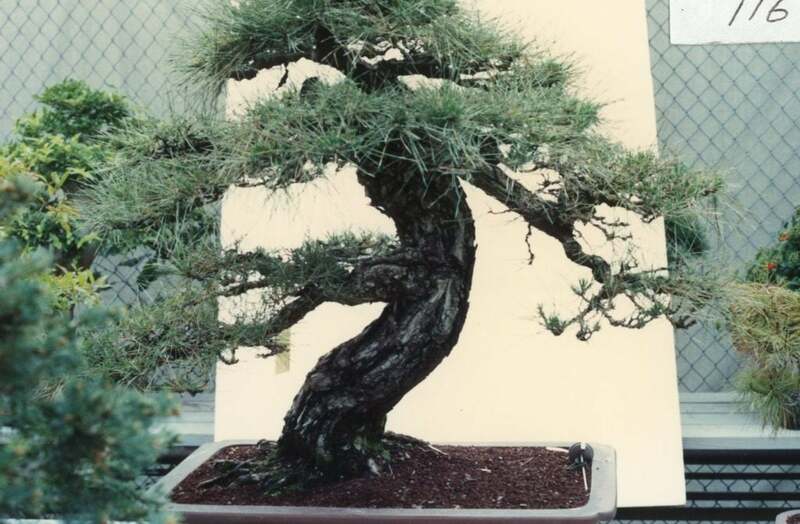 In order to create a bonsai of pleasing proportions, the entire upper trunk was cut off, leaving only the lower trunk and the first four branches. 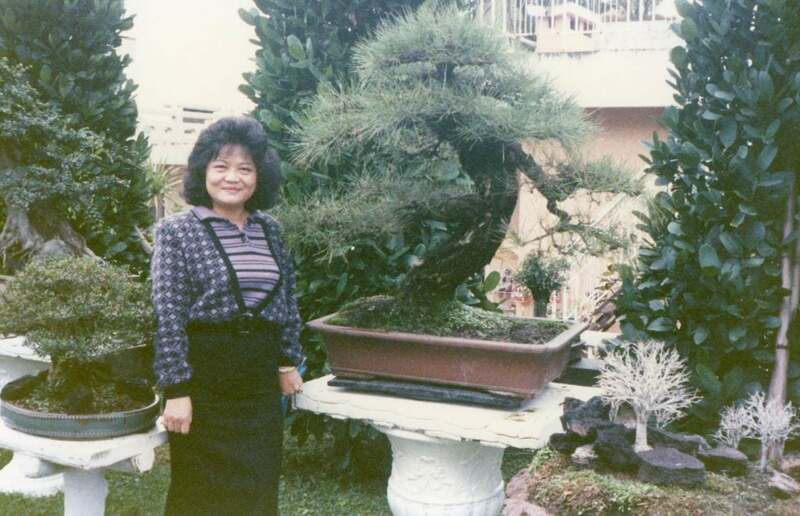 Taipei bonsai artist Amy Liang Chang purchased the tree from a Japanese nurseryman in 1971 and styled into in its present form. 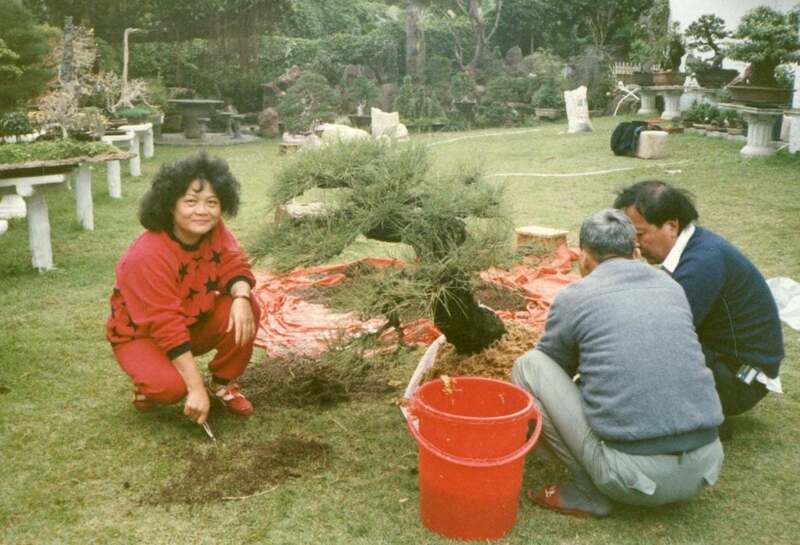 The tree was totally cleansed of soil to permit its importation to the U.S. in 1989. 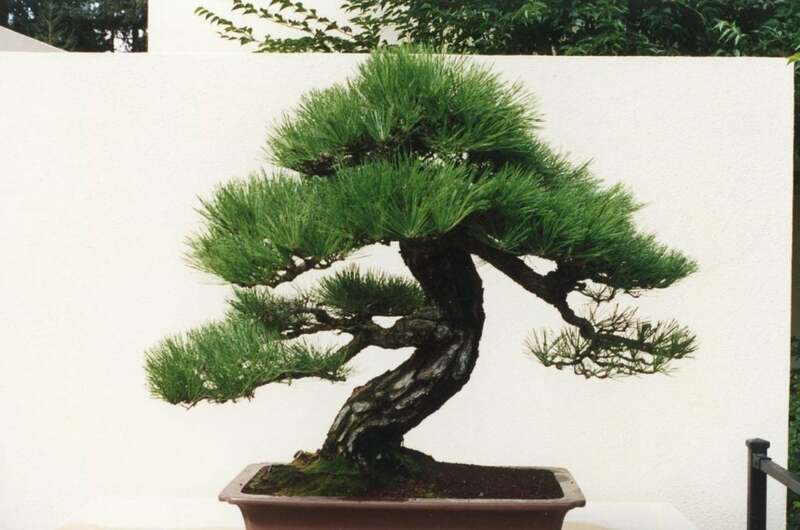 Although badly stressed by that experience, it lived up to its reputation as a strong, vigorous tree and recovered fully.